When I first came in contact with the music I’m now writing about, I approached it as a listener. I appreciated the way the music made me feel. It didn’t take long to get my head involved, and the musician in me started analyzing and discovering secrets in the intricate arrangements on an intellectual level. The next step – and this step is signifies the logical progression for many, if not most, fans of this music – was to get into the music from the standpoint of a musicologist and collector. Many of the classic albums in the west coast genre were long out of print, deliciously rare, and reached even greater status among the fans for it. One of the rarest of the rare releases is a four-track mini-LP by the band Avalon. 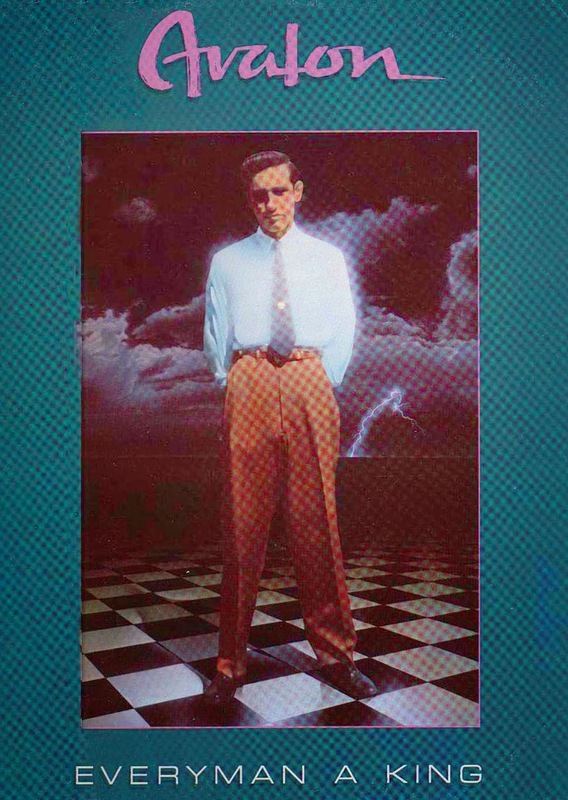 Entitled “Everyman a King,” the record is produced by Blood, Sweat & Tears drummer and Pages and Jaco Pastorius producer Bobby Colomby, and features the talents of session players Vinnie Colaiuta, Mike Porcaro and Jai Winding, in addition to band members Rick Neigher, Chris Cote and Mike Mirage. "Avalon was the live performance entity which was created as a vehicle for the songs I wrote with my good friend Chris Cote (who now lives in Paris). Chris and I had been busily writing together and in addition to writing songs that were used as theme songs for TV shows, we decided we wanted to play out live and go for a record deal. Our songs were used in episodes of the TV series Fantasy Island, and also we wrote the main title for the ABC TV show called “One In A Million”. We added bass player Simon Teolis, Scott Norman on drums and Mike Mirage as a lead guitarist. After playing out in the L.A. club scene for a couple years we sent a demo to legendary produce Robert Margouleff. He loved it, and we loved his work on Devo’s “Whip It” and Stevie Wonder and many others. We did a short recording with him that got the attention of a number of A&R people – especially Bobby Colomby, who at the time was doing A&R for Capitol Records in L.A.
Bobby was re-designing Studio “B” at Capitol Studios in the Capitol Tower basement, and he saw us as a Pop/Rock version of his jazzy flavorred band Pages, which featured Richard Page, and went on to have hits as Mr. Mister. Bobby, being a drummer, did not like our drummer Scott’s playing, so he asked to meet a new discovery, Vinnie Colaiuta. Vinnie was the most amazing phenomenon we had ever seen, and we used him on drums. Bobby also didn’t care for Simon’s bass playing so he brought in Mike Porcaro – later of Toto. Needless to say, these replacements didn’t go over too big with Scott and Simon, so they quit. Bobby also introduced us to Jai Winding, who helped put our stuff on tape while Bobby was chasing girls. That left Chris, Mike and Me. The label was not a big fan of Bobby’s abrasive and arrogant attitude, and I think they didn’t promote us as much as we needed. We got only scattered airplay, and sold very few records. However, the record was a bit of a cult project in town, and it won us some respect from the music community. Shortly after that record’s demise, Chris and I said farewell, and I pursued getting into Record Production. I got a job at a publishing company and soon began to get people to cut my songs. I was introduced to an all-girl metal band called Vixen, and that was my first real record production. I co-produced with my old pal David Cole, who went on to produce Richard Marx and many others. Our rear album picture was taken by legendary photographer Henry Diltz – who I saw many years later when I was working on the demos for Michelle Branch which got her signed to Maverick. Henry took her pictures. We took that shot in the underground parking garage at the La Brea Tar Pits museum". The Vixen album that Rick co-produced went on to sell almost two million units. Chris Cote no longer lives in Paris, he and Rick are now part of the acappella group Who’s Your Daddy, doing shows around the Los Angeles area. 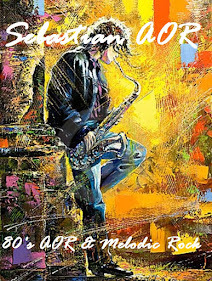 - Many of the classic albums in the AOR genre are long out of print, deliciously rare, and reached even greater status among the fans for it. One of the rarest of the rare releases is a four-track mini-LP by the USA band Avalon (not to be confused with the Canadian pompsters). Entitled “Everyman A King”, the record is produced by Blood, Sweat & Tears drummer and Pages and Jaco Pastorius producer Bobby Colomby, and features the talents of session players Vinnie Colaiuta, Mike Porcaro and Jai Winding, in addition to band members Rick Neigher, Chris Cote and Mike Mirage. According to leader Rick Neigher, the band recorded a demo that got the attention of Bobby Colomby, who at the time was doing A&R for Capitol Records . 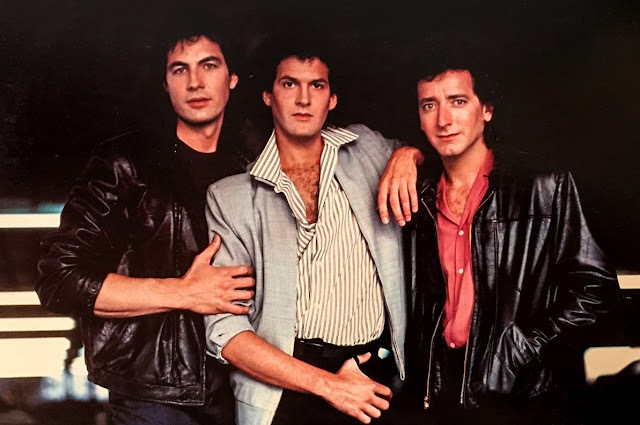 Bobby saw them as a Pop/Rock/AOR version of his westcoast – jazzy flavored band Pages, which featured Richard Page, and went on to have hits as Mr. Mister. Bobby, being a drummer, did not like the band’s drummer Scott Norman playing, so he asked to meet a new discovery, Vinnie Colaiuta. “Vinnie was the most amazing phenomenon we had ever seen, and we used him on drums” says Neigher. Bobby also didn’t care for Avalon’s bass player Simon Teolis so he brought in Mike Porcaro – later of Toto. Needless to say, these replacements didn’t go over too big with Scott and Simon, so they quit.